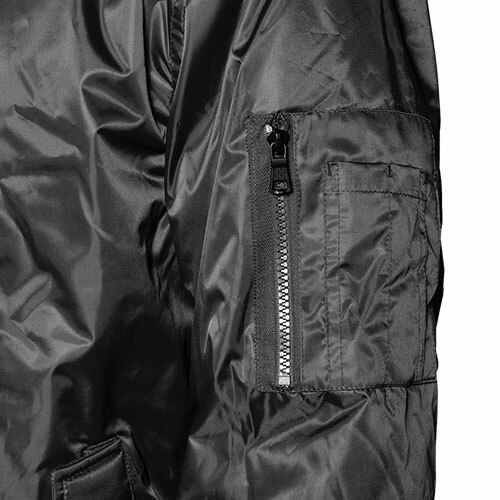 You could pay much more for a flight jacket of this quality. But now, you can own one for less! 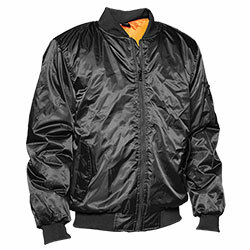 Boasting all the classic style that has made the flight jacket a favorite for generations, it features an advanced 100% polyester shell and polyester lining for years of durable, trouble-free wear. Also features zip front, zippered pocket and pencil pockets on sleeve, 2 snap closure slant hand pockets, rib-knit cuffs, collar and waistband for a snug and comfortable fit. Color: Black. Mens size Medium.